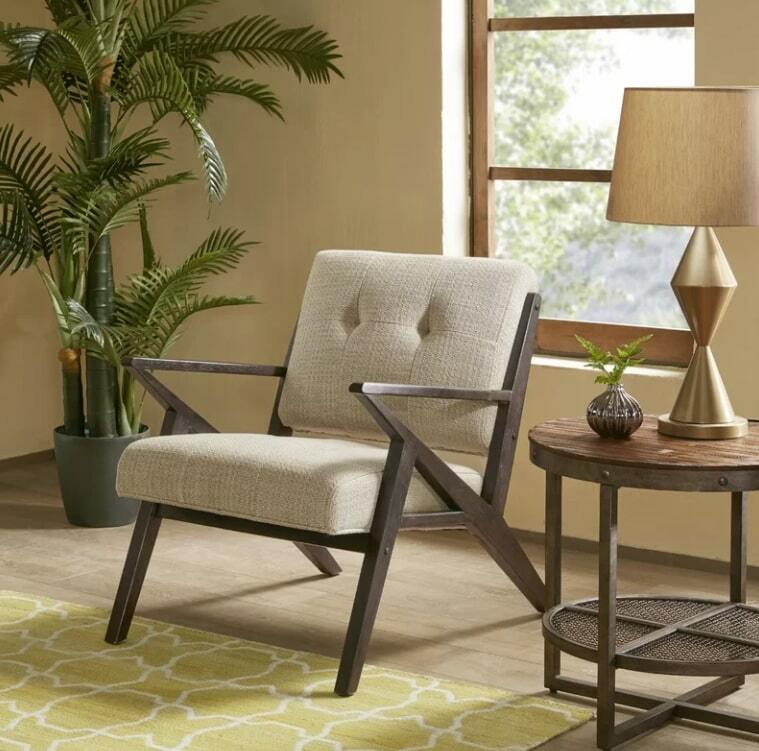 At the end of a long day, you want a comfortable lounge chair to come home to and relax in. Why shouldn’t it also function as a beautiful, stylish furniture piece in your home? And how about a lounge chair that’s under $400, please? 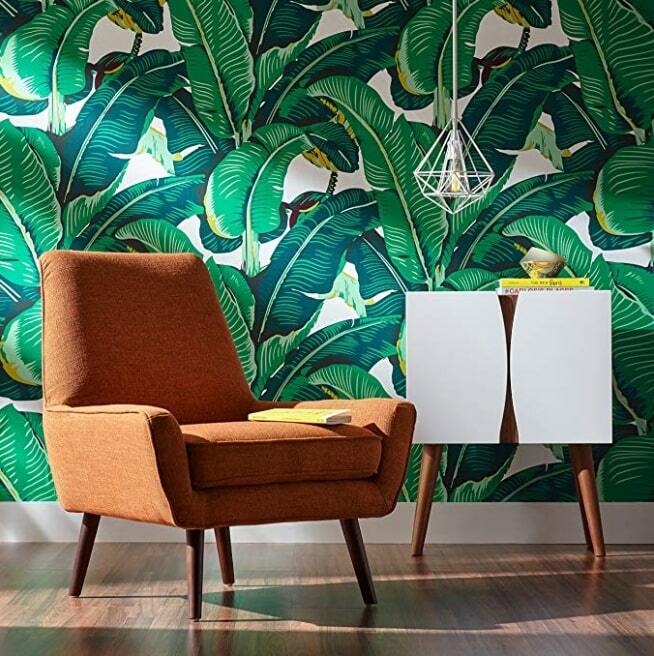 The Internet has opened up a wealth of options for the style-minded man to find exactly what he’s looking for to complement his home’s aesthetic, but we’re here to save you hours of research—combing through pages of search results, scrutinizing reviews, comparing prices—to find the best lounge chairs that will suit your style. From classic and comfortable to sophisticated and plush, we’ve found eleven lounge chairs that are highly rated and within most budgets. This Eames-inspired lounge chair just squeaks in under our $400 limit, but what a find! 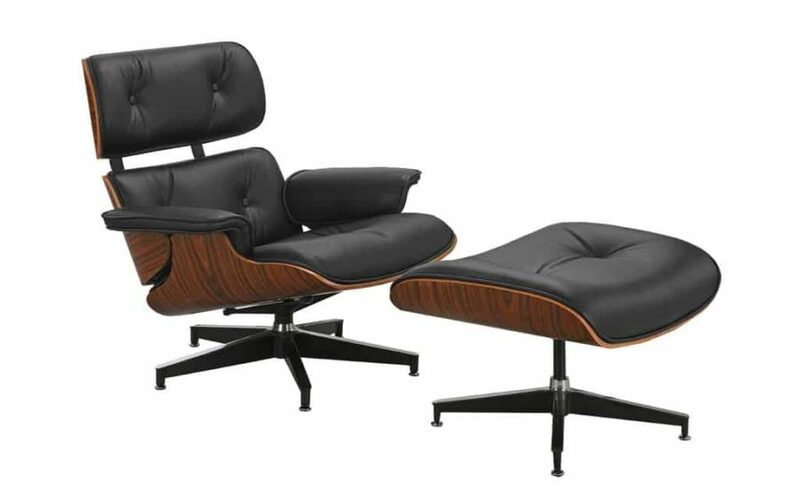 Authentic leather Eames lounge chairs average between $700 to several thousand dollars, depending on several factors. So if design and price are higher priorities than the authenticity of real leather, a good-looking, faux-leather, Eames-inspired lounge chair (especially one this affordably-priced and positively-reviewed) is a steal. 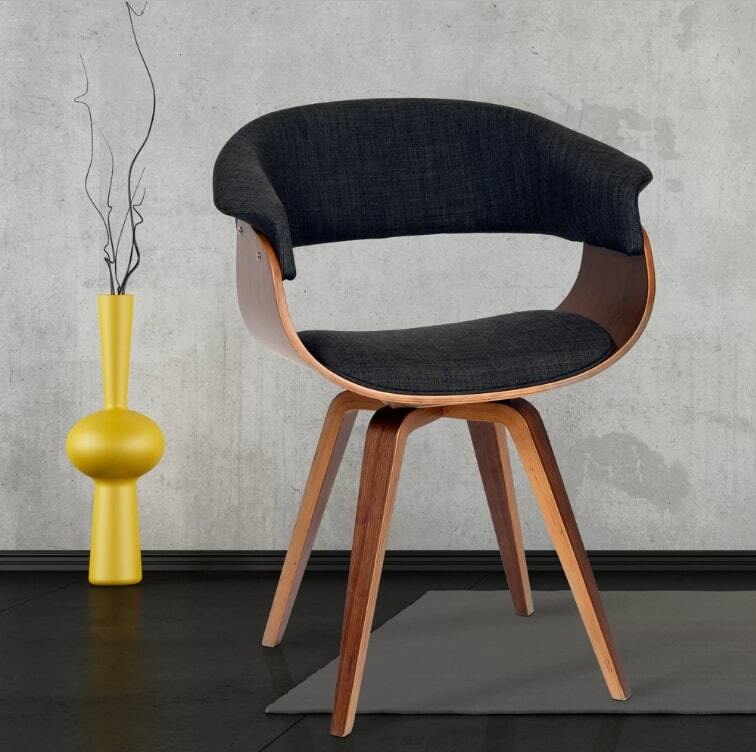 The perfect iconic chair for your mid-century modern-style home also comes in orange, blue and fern green. Its simple, understated style will allow other elements of your room to stand out, without the chair itself being boring. Bonus: At the time of this writing, this chair was on sale for $251.99. That’s 28% in savings, plus Wayfair’s offer of free shipping for orders over $49! 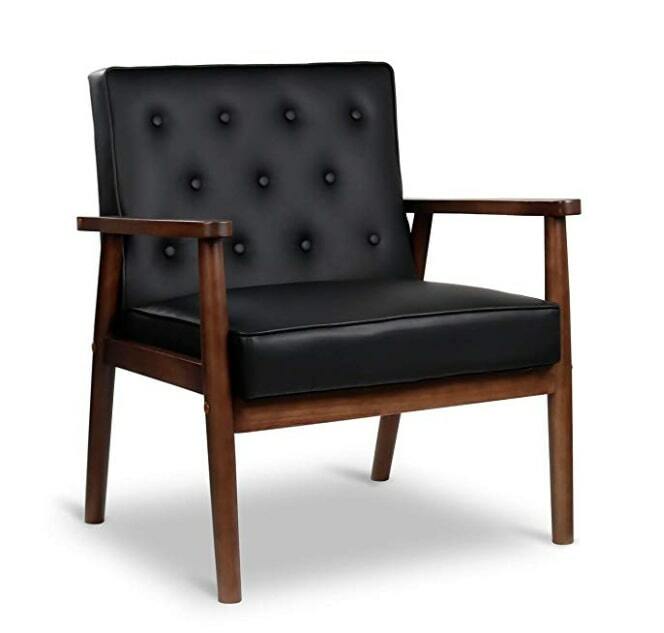 Like the style of the last chair, but want it with a leather look? This affordable faux leather option could be a great fit. Multiple reviews mention that the quality of the materials is high, and the chair itself is very comfortable. Rounding out this classic mid-century modern lounge chair lineup is a reasonably-priced brown faux leather chair from Target. Brown is a good, neutral color to utilize in your decor if you want to avoid filling your room with only grey and black furniture. 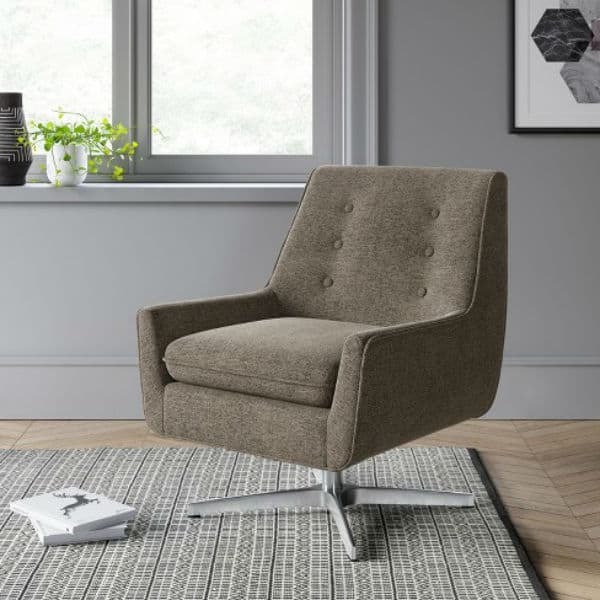 This boxy, mid-century modern styled chair also complements industrial-inspired decor, and the tweed fabric will introduce more visual interest into your room. Note that IKEA offers a similar option with its LANDSKRONA Armchair in Gunnard Grey, for about $100 less. 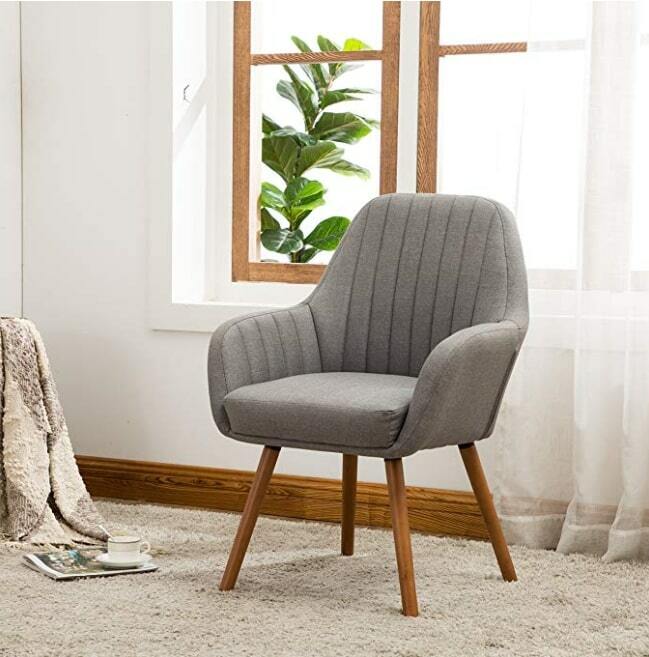 Stylish and (according to reviewers) surprisingly comfortable, this chair would work equally well as an accent piece or extra seating options for you and your guests. Its sculpted frame is a surprise statement in a minimalist-inspired home. 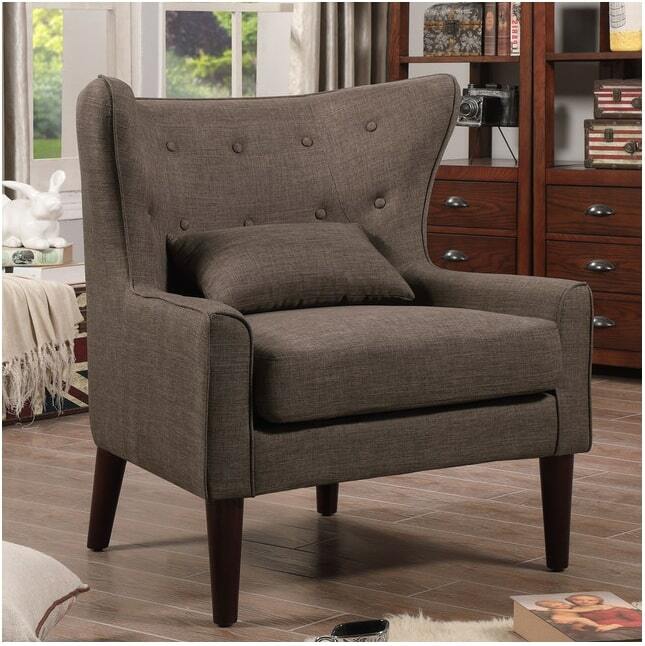 A comfy-looking tufted chair with a sleek, compact silhouette, this swivel-based piece offers understated style for a small space. The low armrests on this chair make it perfect for curling up with a good book, and its burnt orange hue will lend a muted pop of color into your room. It’s worth mentioning that, for about $25 more, this chair is also available in classic, cognac-colored top grain leather. This otherwise simple-looking chair is stylistically elevated with interior pleated backing and arm rests, and complemented with light brown tapered wood legs. 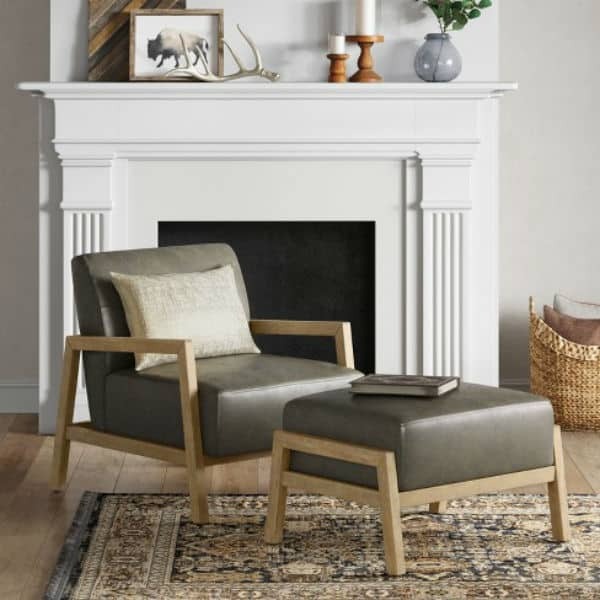 A perfectly affordable lounge chair or accent chair. 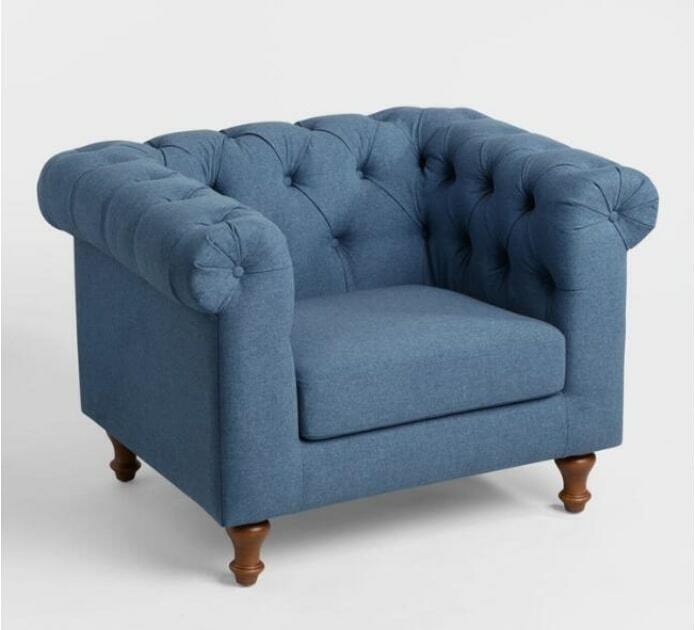 This classic shape has just enough of a unique twist (check out the headrest) to work equally well in mid-century modern, Scandinavian, traditional, and modern farmhouse decors. Plus, it looks pretty comfortable, to boot. Want to add more color, but worried about going too far? 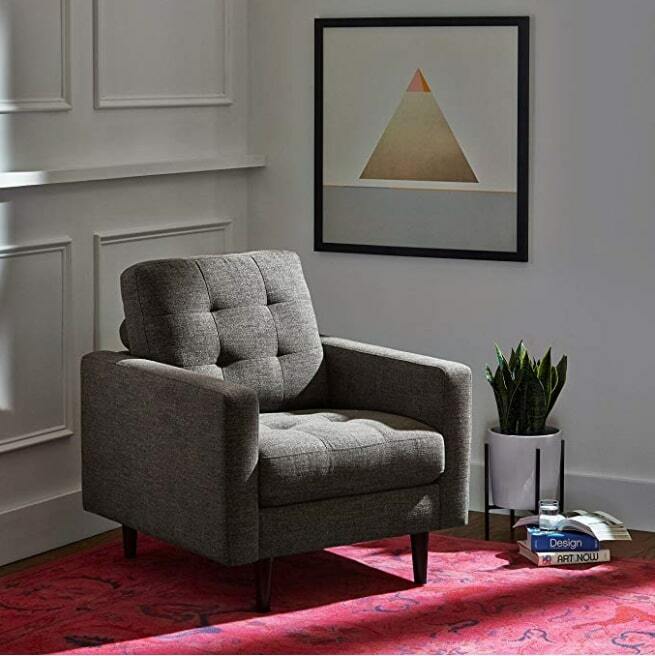 This plush, tufted lounge chair from World Market is a perfect way to add a color statement to your room, without risk of going overboard. What’s your favorite chair from this list? Want to show off your under $400 furniture find? We want to know. Share it in the comments! Lindsey Silva is a native Texan currently living in Germany. She writes about home decor and real estate, and dabbles in academic editing. 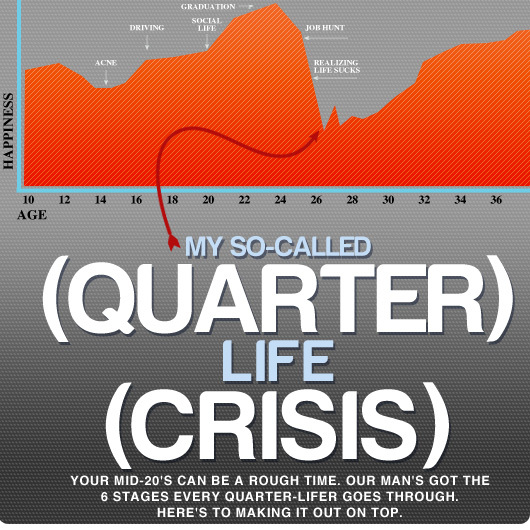 Her interests include Brazilian jiu-jitsu, balcony gardening, binge watching Forensic Files with her husband, and spending an unhealthy amount of time on Reddit. I love that Eames chair its their leather brethren. Maybe it’s me, but I just can’t imagine spending that kind of dough on a chair. Not even at $352, let alone thousands. I love the looks but I feel like my frugality will win out every time I think about what else I could spend that money on. Sigh.